How do I find files in Windows Vista? Now that I have switched from Windows XP to Windows Vista, I am missing the “Find Files” feature from the new start menu. I’m sure it’s there, but I can’t see it. Help! Notice the element that’s highlighted: that’s the Search option and that’s how you search for something. Choose it. As you can see, you can constrain your search results by when the file was created, how big or small it is, or where it is. For example, want to save disk space? Search for all files over 500KB and see what happens. Now, check the “Include non-indexed, hidden and system files” and see how it changes. Anyway, that should get you started with searching for files, documents, pictures, and other material on your Windows Vista system! I cant find something in windows search..No Im not an idiot Ive tried every viable option. However I ended up finding the file later. It was a MP3 file. So after I found it, I narrowed the search to the folder that it is in, and it still doesnt pull up. The file isnt hidden, I checked the “include non-indexed files” box. Nothing makes it pull up. Explain that one. Oh wait I know the answer….Windows is a flaming piece of &%$#. What is the answer to the above questions about a replacement for XP’s right click search? My problem is thea I want to search in a particular folder and it’s subfolders only. Not everywhere. Hey RKP, did you ever find out how to find files containing a particular word? Please post. If this can’t be done, it is a huge weakness in the Vista search function. I have Windows Vista on my Laptop. The file searching in vista is too annoying. 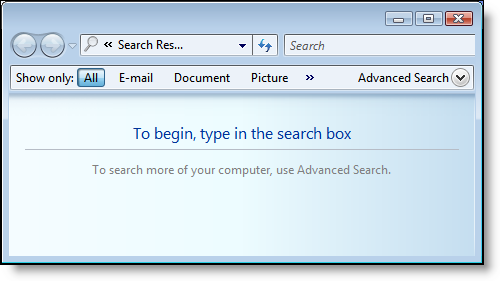 In XP on right clicking on any folder we used to get search option. In this search option we were able to find files containing certain words or phrases. 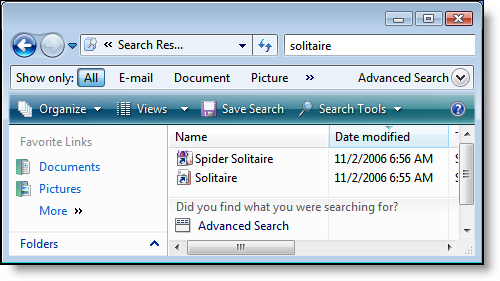 Such an search option does not seem to exist in vista. When we type a word in the search text box, vista assumes it to be a file name. So in vista how to find files containing a particular word ? Interesting and a little bit amusing question. It just remind me my friend who was explaining by me how to set up LAN under Vista. You know he answered: “Hey, i could not run Notepad under Vista not being asked about security… and you told me to put LAN cord there and tue up some options…!” I was laughing…But thanks for sharing tips. I’d like to add two things to your explanation. 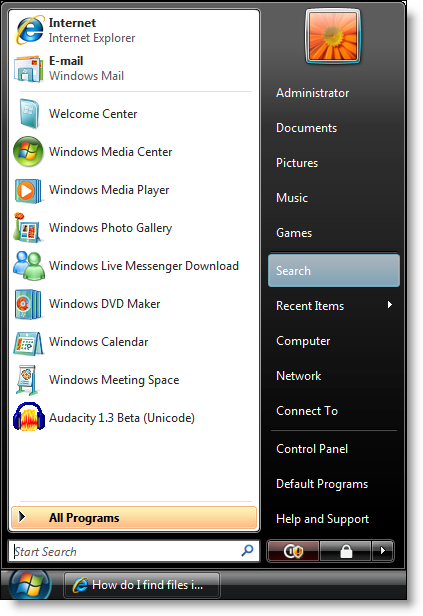 1.Other than using search link in start menu, using search box which is in bottom left portion of start menu will be more convenient for decent search. And via search box you can even execute a program. 2.By default, windows vista indexes (and hence looks for) files or folders only in start menu folder and users folder.This enables Vista to show the result quickly and not to make annoying scratch sound from hard disk. This is why “Include non-indexed, hidden and system files” is unchecked by default. Users can, of course, add indexing folders on top of default folders via control panel but this may produce a performance issue depending on the PC specs. you can also use the start search feature at the bottom of the start menu. it is visible under all programs in the first screenshot in the article. you do need to know the name of the program you are searching for there. as a technical support rep for a computer manufacturer I instruct my callers to use it all the time. I believe it needs to be enabled to be used, tho in my experience it is enabled by default in vista.